I spent the day on the road fetching our daughter from college. So a large portion of the day was spent alone with my thoughts. Sometimes, we can’t see the purpose behind the things that happen in our lives. I understand that David was dealt a crappy hand from birth. Through our adoption of David, I have learned so much. About human nature. About myself. I don’t think that we set forth a life event with the hopes that it will teach us some hard and fast lessons. We sure didn’t adopt David to learn things. It comes to mind that the little challenges is what gives life flavor. You know what I mean? We knew David was special needs when we adopted him. At the time, it was simply because he was part of African-American. We didn’t see color, we saw a little boy that we had grown to love and that we wanted to give a forever home to. Not out of some idealistic vision that we were doing this great and noble thing. Sure, his birth history was discussed. We knew about him being born addicted to more drugs than a pharmaceutical company has stock. At the time, no one could quantify the damage that had been done. As David grew, things began to happen. At first it was ADHD. Then it was hoarding. Then stealing. Constant lies. Violent behaviors. So many little things. Through it all one thing remained. Our love for this little boy. Never. and I mean never have we considered the option of terminating the adoption. I don’t find fault in those that have made the decision to do so. A family has to make that decision on its own without outside influence. It is a sad reality that some adoptions are reversed. These are not bad people for deciding that they need to do a reversal. In the last 24 hours, I have received thousands of messages of support through the various facebook communities that I am a part of. You have no idea what it means to me as a human being to see this level of support. This past year has been full of challenges for David. I don’t know what 2015 will bring, but I hope that he finds peace, even for a little while. As I close this series of thoughts, I have decided that things need to change for people with mental illness. Especially the children. Every child should have the opportunity to get the care that they need in their home state. We shouldn’t have to “ship our kids across state lines” like so much extra baggage to get them the help they need. In North Dakota, where we live, I hope to address this topic next legislative session. Which starts in two weeks. My goal is to raise awareness. Please, if you read my blog, share it with others. Our beautiful son is not the only child who is struggling with mental illness. There are others out there. So please, share my blog with others that we might work together to raise awareness. Awareness begins with one voice and builds steam from there. I know quite a few parents who have been fighting for their children for a long time, far longer than we have been fighting for David. Voice’s get tired. People get tired. So let’s rally the troops. Mental illness encompasses a broad range of things. 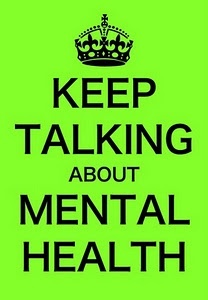 Each mental illness is important. Thank you again for your support. It means the world to my family. To me. « At a loss, with tears rolling.